It's now up to the Senate Judiciary Committee. 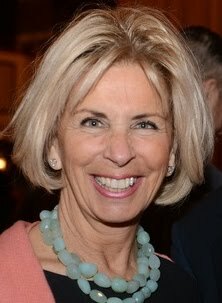 The confirmation hearing for Janet DiFiore to be Chief Judge of New York has been scheduled for this Wednesday. The Judicial Nomination Commission, chaired at the time by former Chief Judge Judith Kaye (since deceased), did its job, and did it extremely well. The commission encouraged applications, interviewed applicants, and in November of last year it provided the Governor with an extremely impressive list of 7 recommended candidates. Now it's time for the Judiciary Committee to do its job, and to do it well. The Senate has already missed the legal deadline. By law, the Governor's nominee was supposed to be confirmed or rejected within 30 days. But being late is not a reason for the Senate to engage in a perfunctory rush job. Filling a vacancy on the Court of Appeals--let alone that of Chief Judge of the state--demands nothing less of the Senate than a serious, informed, independent exercise of its constitutional "advice and consent"responsibility. Unfortunately, since the time New York adopted an appointment system for the selection of Judges to its highest court, the hearings conducted by the Judiciary Committee have typically been a fairly worthless exercise. They have typically been little more than a rubber stamp for the Governor's choice. Typically, a few witnesses--friends and associates of the nominee--testify how wonderful the nominee is. Typically, then, a few words of praise are offered and innocuous questions posed by the Senators to the nominee. Typically, there is precious little that is probing. Precious little that should actually satisfy the Senators, or the state's citizens, that the merits of the nomination have been assured. Precious little that constitutes meaningful participation by the Senate in the selection process. On occasion, the Senate has engaged meaningfully. But those have been the rare exceptions. This is not a call for the kind of partisan circus into which the confirmation hearings for U.S. Supreme Court Justices has degenerated. Nor is this a call for unreasonable delay in the process or an unwarranted challenge to the Governor. Nor for unjustifiably undermining the nominee, the position of Chief Judge, or the stature of the Court. But this is a call for seriously examining the nominee and the nominee's qualifications. For the care and effort necessary to render an intelligent, independent determination about the character and fitness of the nominee--in this case, to be Chief Judge. To be fair, the chair of the Judiciary Committee, Senator John Bonacic, has always run highly dignified hearings. It should also be noted that he and a few others on the committee (such as Senator John DeFrancisco who, unfortunately, is no longer a committee member) have always seemed well informed about the nominees before them. Moreover, they have always seemed well aware of the importance of the judicial position to be filled and of their role as Senators to participate meaningfully in filling it. But whether because of time constraints, or political considerations, or lack of interest or understanding, the committee itself has typically fallen far short of its constitutional responsibility. No, a confirmation hearing ought not to be just another occasion for partisan bickering and scoring political points (as it has become at the federal level). But neither should it be a hasty, careless, or indifferent approval of the Governor's choice. At the least, the Senate, through its Judiciary Committee, should satisfy itself that a nominee has some real understanding of the judicial role--especially that of a judge on a high court and of a high court itself. That the nominee has some real understanding of the difference between the legislative function on the one hand and, on the other, the law-making and policy-making that are inherent in decision-making on a court of last resort. That the nominee has some judicial philosophy--whether it be literalism or originalism or some other specie of strict interpretation. Or whether a judge should give effect to broader underlying purposes and principles in the law and be particularly mindful of the consequences of a decision. Considerations such as these are extremely important in the appointment of a high court judge They ought to be matters of concern and exploration in the Senate confirmation process. Now it may be--as it is in the case of the current nominee for Chief Judge--that she has not had the experience of judging on a high court. She may not have had much occasion or opportunity to develop a judicial philosophy or to formulate a coherent perspective on the judicial role of a court of last resort, such as the Court of Appeals. But that doesn't make such matters less important. Nor is it a reason to avoid those matters entirely. To be sure, some of the very same considerations can be explored and uncovered in different ways. Anyone interested in serving on a high court should surely have given some thought to such matters. Anyone interested in judging and in judges must have given some thought to the kind of judges they admire and, even more specifically, to the particular judges with whom they agree or even view as role models. If a nominee's favorites are Judges such as Vito Titone and Carmen Ciparick on the Court of Appeals, and Justices such as Ruth Bader Ginsburg and Sonia Sotomayor on the Supreme Court, that certainly reveals a great deal. It clearly bespeaks something much different about the nominee than if she picked Judges Robert Smith and Susan Read, and Justices Antonin Scalia and Clarence Thomas. Similarly, because we are now dealing with a nomination to be Chief Judge, it would be revealing to learn the nominee's preferences in that specific regard. Not the personalities of those who have previously served in that position, but their policies--both as leader of the Court and of the judicial branch. So, for example, does the nominee favor Chief Judge Judith Kaye's avowed preference for consensus, compromise, and the merging of individual differences to obtain unanimity or near-unanimity? Or does the nominee agree more with Chief Judge Jonathan Lippman's view that clearer, more sharply reasoned, and less blurred decisions result when differences are aired in dissents and answered by the majority? As for the administrative role of the Chief Judge, does the nominee favor the approach of activist chief executives of the judicial branch such as Chief Judges Lippman, Kaye, Sol Wachtler and Lawrence Cooke, and, at the federal level, like Chief Justice Warren Burger? Or does she believe it appropriate to be more restrained in that executive role such as earlier Chief Judges (who, by the way, did not enjoy the title of Chief Judge of the State, but simply of the Court of Appeals) and Chief Justice William Rehnquist at the federal level? Finally, in addition to inquiries about the nominee's view of the role of a Court of Appeals Judge and of the Chief Judge of the state, there are some other matters which should be put to rest. Matters about which questions have arisen and about which the Senators should be confident that any suspicions are baseless. There is the question about Janet DiFiore's ability and willingness to be independent of the Governor who nominated her and with whom she seems to have had close political ties. Of course, in recent Court of Appeals history we have witnessed a Chief Judge sue the Governor who appointed him, as well as a Judge who repeatedly voted against the death penalty to the dismay of the appointing Governor who had believed him to be pro-death penalty. At the federal level, there is the classic example of Chief Justice Burger authoring the decision that ordered the President who appointed him to release the White House tapes. So appointees can certainly be very appreciative and even close to the chief executives who appointed them, and yet be brutally independent once on the high court. The Judiciary Committee should and will likely seek assurances to that effect from the Chief Judge nominee. Then there is the matter of Janet DiFiore's tenure as chair of JCOPE (the Joint Commission on Public Ethics). The business of that commission is shrouded in secrecy and, for that and other reasons, its reputation is tarnished to say the least. Lest any suspicions arise and enlarge after the Chief Judge nominee has already been confirmed, the Judiciary Committee should satisfy itself that any such suspicions are baseless and will not later tarnish the Court's reputation or that of the position of Chief Judge. There is also the concern in some quarters about the failure of the Westchester County DA's Office to secure indictments in several cases where African-American men were fatally shot by police officers. Some even called for the District Attorney's removal from office. This matter should be explored by the Committee. And the Chief Judge nominee should be given the opportunity to erase any doubts about whether she will--as has Chief Judges Lippman, Kaye, and others who have recently held that position--make the equal enforcement of the law a top priority and be absolutely intolerant of racial discrimination and other racial injustices in police work. Again, it's now up to the Judiciary Committee and the full Senate. We New Yorkers are fortunate to have had such a fine list of candidates produced by the nominating commission. And fortunate that the Governor has made what seems to be such a fine choice from that list. We should be fortunate, as well, that the Senate takes its role in the appointment process seriously, and that it renders an independent "advice and consent" decision based on a careful, intelligent, and fully informed examination of the merits of this Chief Judge nominee.